In response to the anticipated flu season this year, OpenSesame (www.OpenSesame.com), a worldwide resource for business training courses and XeniumHR, in partnership with Kantola Productions, is pleased to offer a free online training course for flu prevention for the next 30 days. 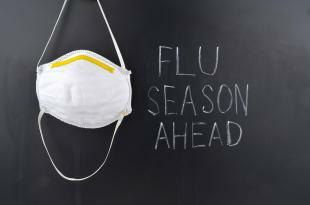 According to Flu.gov, nearly 111 million workdays are lost due to the flu each year. The Centers for Disease Control reports that while flu severity varies from season to season in the United States, they recommend being proactive in all prevention efforts. To help assist businesses during the annual flu season, OpenSesame and XeniumHR partnered with Kantola Productions to distribute a short but comprehensive health education training course that companies can use to keep their employees safe and healthy. The interactive 20-minute course explains the flu and how it spreads; tips for staying healthy when working with colleagues and customers; how to reduce flu exposure; and steps an organization can take to reduce the spread of flu in the workplace. Kantola Production’s significant industry expertise and award winning course production values made the partnership on this project a natural fit. XeniumHR joined to help widen the reach of the elearning course with additional distribution to their network of small and medium sized businesses. Employees can visit http://go.opensesame.com/freeflu2015 to preview and take the free course. Organizations can also use OpenSesame’s CourseCloud™ to send email invitations to all of their employees for the course or they can download a SCORM file to use the course in their corporate learning management system. OpenSesame is the trusted provider of on-demand elearning courses for the enterprise. Serving Global 2000 companies, OpenSesame delivers the most flexible buying plans in the industry, enabling enterprises to maximize their budget. OpenSesame’s has the broadest catalog available with 20,000+ courses from the world’s leading publishers, updated constantly, and is compatible with every major LMS. For more information, visit www.OpenSesame.com or follow @OpenSesame on Twitter.